The objective was to study the processing of Vernonanthura discolor seeds, evaluating their physical and physiological qualities and defining parameters for purity analysis and determine the weight of one thousand seeds. The seeds extracted from the infructescences were processed in a blower, testing combinations of openings of the calibration valve and the side air passage. After processing, the seeds went through water content determination, germination tests, first count of the germination test, purity analysis, weight of one thousand seeds and percentage of full seeds. Compared to the control, seeds processed in a regulated blower with the calibrator valve in position 10 plus three 360° turns of side air passage obtained an approximately three-fold increase in germination and vigour and had 96% purity. We conclude that the processing of V. discolor seeds was best done by combining the rubbing of the seeds on circular sieves (1.8 and 1.6 mm in diameter) and then passage in an adjusted seed blower (calibration valve in position 10 plus three 360° turns of side air passage). The weight of one thousand seeds is 0.500 g, and the working sample for purity analysis must be 1.3 g.
Almeida, S. R., Watzlawick, L. F., Myszka, E., & Valerio, A. F. (2008). Florística e síndromes de dispersão de um remanescente de Floresta Ombrófila Mista em sistema faxinal. Ambiência - Revista do Setor de Ciências Agrárias e Ambientais, 4(2), 289-297. Araujo, E. F., Viggiano, J., & Silva, R. F. (2009). Beneficiamento de sementes de hortaliças. In W. M. Nascimento (Ed. ), Tecnologia de sementes de hortaliças (p. 105-134). Brasília, DF: Embrapa Hortaliças. Flores, A. V., Ataíde, G. M., Borges, E. E. L., Silveira, B. D., & Pereira, M. D. (2011). Tecnologia e comercialização de sementes florestais: aspectos gerais. 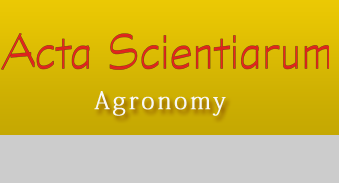 Informativo ABRATES, 21(3), 22-29.
International Seed Testing Association [ISTA]. (2015). International Rules for Seed Testing 2015 edition. Bassersdorf, SW: ISTA. Lima Junior, M. J. V., Martins, C. C., Groth, D., & Lopes, M. T. G. (2015). Amostragem e pureza de sementes florestais. In F. C. M. Piña-Rodrigues, M. B. Figliolia, & A. Silva (Ed. ), Sementes florestais tropicais: da ecologia à produção (p. 289-307). Londrina, PR: ABRATES. Marcos-Filho, J. (2015). Fisiologia de sementes de plantas cultivadas. (2a ed.). Londrina, PR: Abrates. Santos, S. R. G. (2015). Secagem, extração e beneficiamento. In F. C. M. Piña-Rodrigues, M. B. Figliolia, & A. Silva (Ed. ), Sementes florestais tropicais: da ecologia à produção (p. 206-218). Londrina, PR: Abrates. Siminski, A., & Fantini, A. C. (2011). Espécies madeireiras nativas da região Sul – Vernonanthura discolor (Vassourão-preto). In L. Coradin, A. Siminski, & A. Reis (Ed. ), Espécies nativas da flora brasileira de valor econômico atual ou potencial: plantas para o futuro – Região Sul (p. 523-526). Brasília, DF: MMA.